Combination of white and golden colours is classical. Such a set of colours guarantees admiration of and satisfaction from greatly arranged living room. The photo wallpaper will be a tool used to arrange a beautiful interior in every house. 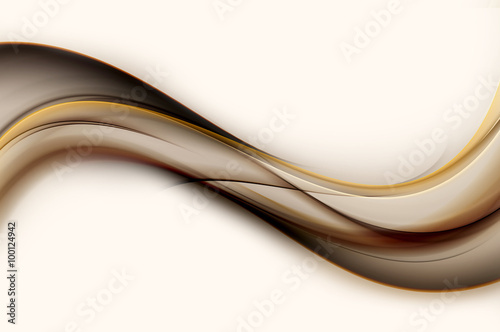 The interesting structure of two intertwining waves will surely enliven your house and impart originality to it.